It is a treat to be able to offer the “King” of errors. Double denominations have long been considered the most desirable and virtually always the most expensive misprints that can possibly exist. 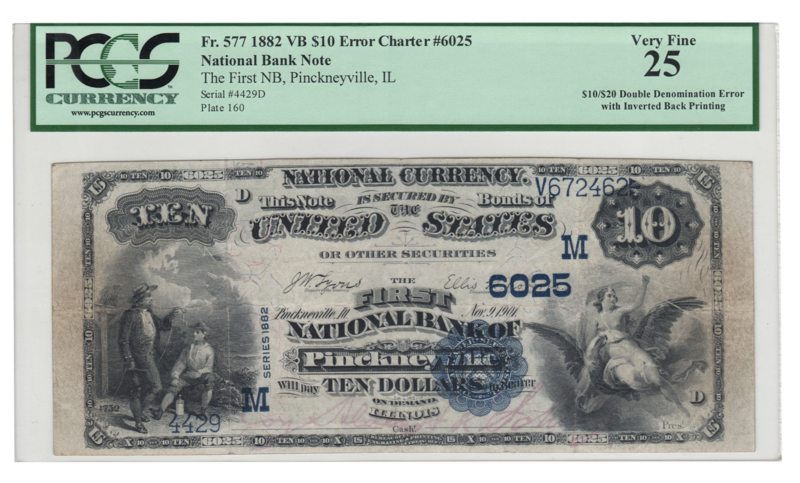 The note offered here is new to the numismatic community, but hardly breaking news around Pinckneyville, IL. It is our understanding that the great grandfather of our consignor was one of the bank’s original organizers, and another family member was actually a teller at the bank when this “$30 bill” was presented for redemption in the early 1920s. The note has been in the same family since that time period until its appearance on the auction block today. 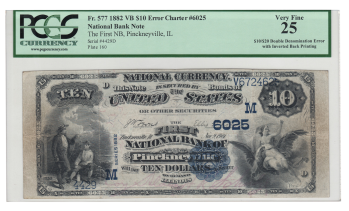 The 3rd Edition of Paper Money Errors lists just six other $10 front/$20 back 1882 value back errors. 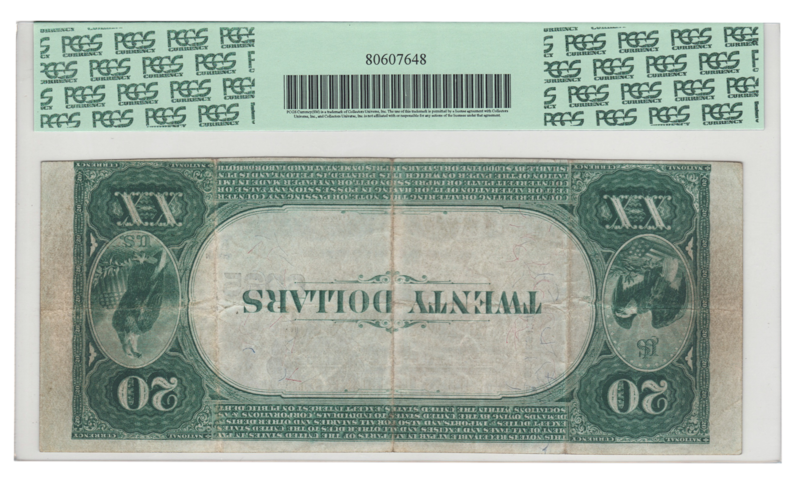 An inverted back $10 note from the same sheet has been documented. But it appears that we are still waiting on the other invert and the $20 front/$10 back misprint to be found. 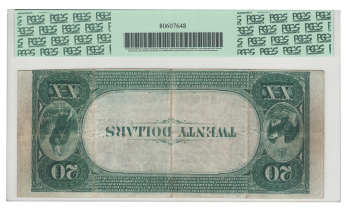 In a collecting world where it seems that just about everything worth finding has been found, the note offered here will likely be the only chance at a double denom from this Illinois bank for a very long time.